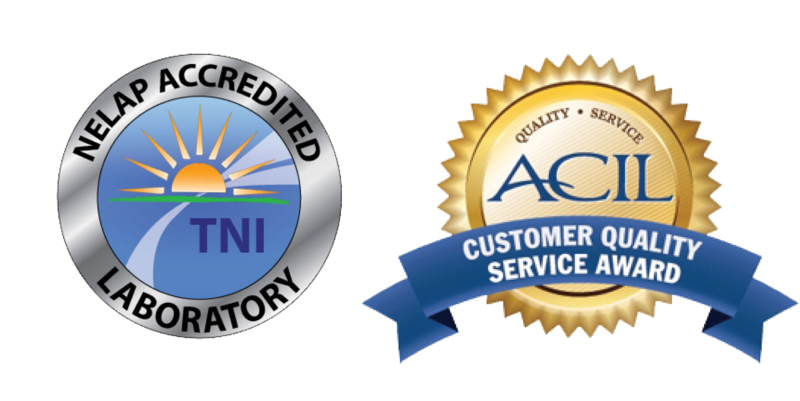 ACZ Laboratories, Inc. has been providing high quality data in a timely manner to a broad base of clients since 1980. ACZ’s radiochemical clients range from municipal drinking water suppliers to oil and gas companies to mining corporations. ACZ’s support for the uranium mining industry includes, baseline studies for permitting, operational water monitoring as well as closure requirements for both underground and in-situ mining facilities. ACZ has worked with many governmental agencies on radiochemistry remediation and monitoring projects including: Dept. of Energy (DOE), Dept. of Defense (DOD), U.S. Army Corps of Engineers (USACE), U.S. Forest Service (USFS), Bureau of Land Management (BLM), as well as multiple State Abandoned Mine Programs. ACZ provides support to oil and gas exploration and production companies by helping to characterize wastes streams with the potential for high concentrations of TENORM (technically enhanced naturally occurring radioactive material). This includes analysis on produced water, solids and liquids from tank bottoms, filter socks, sludge and residual materials. ACZ is experienced with radiochemistry analysis on many matrices including: drinking water, waste water, groundwater, surface water, soil, sediment, core samples, tailings, waste rock, plant and biota tissue. ACZ also provides trace metal and radiochemical analytical support to the nutraceuticals and food industries with testing for Naturally Occurring Radioactive Material (NORM) as well as gamma analysis on raw food and food ingredients (liquid and solids). Following the Fukushima Daiichi nuclear incident, ACZ has been supporting multiple importers of raw food and beverage products produced in Japan with radiochemical testing support. Radiological analysis routinely performed are based on the U.S. Food and Drug Administration Derived Intervention Levels (DILs) for food products via Gamma Spec and include Cs-134, Cs-137 and I-131. ACZ has the capability to see well below the DILs established by the U.S. FDA for I-131, Cs-134, & Cs-137 when sufficient sample quantity is provided. Please note that we can analyze for other isotopes if needed. Links to this FDA guide as well as other regulatory links can be found on ACZ Laboratories’ Download page. Our recent 9,206 sq ft addition to our current 21,714 facility includes state-of-the art radiochemical instrumentation and prep laboratories. The new laboratory expansion has kept ACZ’s turnaround time for radiochemical analysis the best in the industry, as well as doubled the prep lab hood space which has increased our lab’s sample capacity.